It is almost impossible to avoid Trump and Brexit. I could fill a book with my thoughts on that but to save us all from that I won't. I will admit it has been hard to find anything else. The NHS has dominated the news too but I wrote about that a few weeks ago. One of my favourite social media sites is twitter. 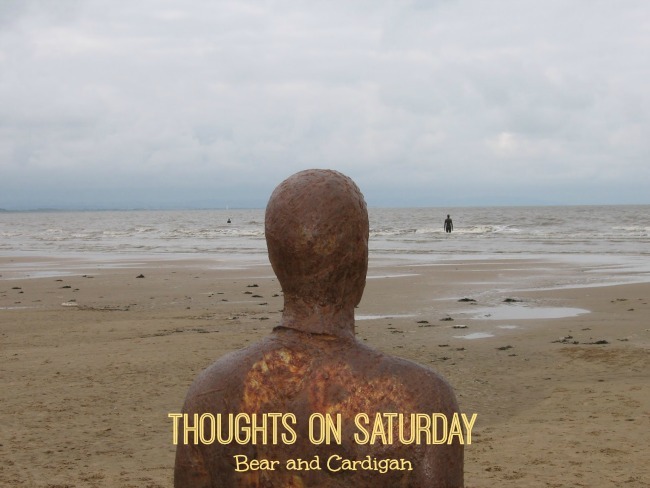 It took me ages to get to grips with it but I love its transience and limit on characters. No reading pages of diatribe to get to the point. "I will continue to speak up for refugees and immigrants and British values of tolerance and free speech. I won't be bullied by them"
"I have always paid my taxes on time and in full. 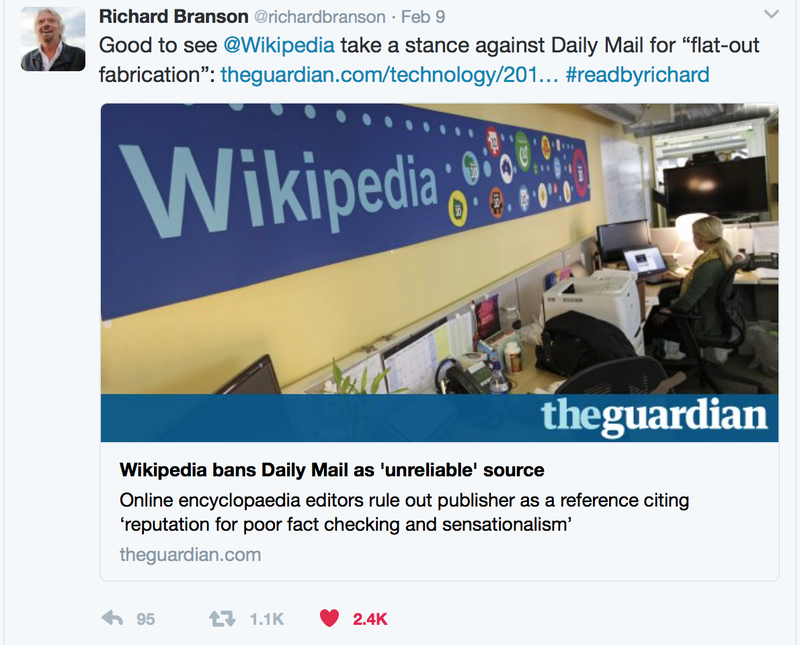 The Daily Mail continues its vendetta against me because they don't agree with my views"
Wikipedia has banned editors from citing the Daily Mail as a reliable source. 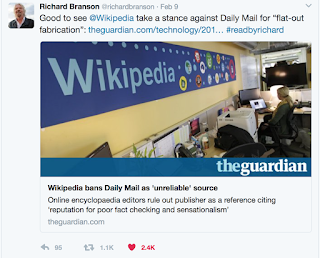 According to The Guardian Wikipedia's editors gave the following reason “centred on the Daily Mail’s reputation for poor fact checking, sensationalism and flat-out fabrication”. We should be responsible in checking articles that are written, wherever they appear. Just because it's in a newspaper, on Wikipedia or on a website doesn't make it the truth. A couple of weeks ago if you had mentioned the name of Shannon Matthews I would have recognised it but not been able to place it. Once I was reminded that this was the child that was kidnapped by her mother I would have remembered the case. Last week the BBC aired the first part of a documentary about her kidnapping, Moorside. Shannon was kidnapped almost eight years ago. She disappeared on 19th February 2008 just nine months after the disappearance of Madeleine McCann. There was no connection between the two girls disappearance. Madeleine disappeared on holiday in Portugal and Shannon on her way home from swimming in West Yorkshire. Sadly they were linked in another, possibly worse way. Shannon's mother, Karen, and her boyfriends uncle, Michael Donovan, had hatched a plan to kidnap Shannon. They were going to wait until the newspapers had put up a reward and then Michael Donovan would find Shannon and claim the reward. They would then share the money. Whilst mothers all over the world were hoping for a safe return of Madeleine, Karen Matthews was plotting to kidnap and drug her daughter. Karen Matthews and Michael Donovan were given eight years in prison. Shannon was put into care and is now with another family. It was said that the disparity in the media reporting of both events was due to the social class of the parents. The McCanns were well educated and eloquent whilst Karen was not at all articulate. Moorside reflects this well, she seemed more interested in going out than finding her daughter. She is also portrayed as of not great intellect which is probably why the plan was never going to succeed. 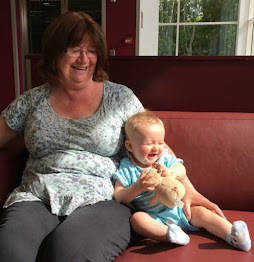 Was Karen Matthews really treated differently because of class differences? Was she judged because she was a mother of children with different fathers? Or was there something about her that the public and the media couldn't warm to? Her community stood by her, they supported her and searched tirelessly for Shannon. It's a difficult drama to watch but I hope that the final part answers some of these questions. I gave up reading newspapers years ago, it's a shame that people don't check facts and jump on whatever bandwagon is hurtling by. I get sick of all the 'fake' news that people post on my FB timeline too, so sad that they get taken in by it all. I think you may have a point about class difference and ways of reporting too. I definitely haven't 'warmed' to Karen Matthew's character in Moorside, it is a difficult drama to watch.